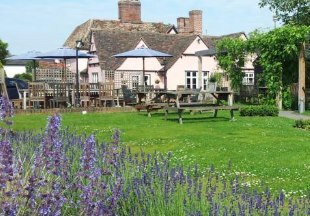 Just 7 miles from Ely, this award winning riverside inn is set in peaceful fenland, close to Cambridge and Newmarket. Perfect for walking, bird watching or simply chilling out. AA rosette for food, Michelin Guide and Alistair Sawdays. 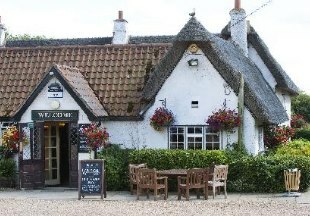 This lovely 16th century, Grade II listed inn enjoys a pretty village setting, with a walled garden overlooked by a dovecote and the local church. Steeped in history and oozing character, the inn boasts an AA rosette restaurant and eight new-build, en-suite guest rooms. 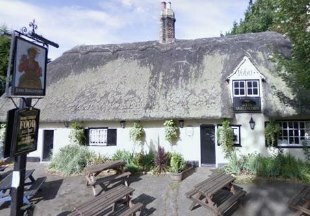 Welcome to the Black Bull, a Grade II listed black and white freehouse in the pretty Cambridgeshire village of Balsham. This quintessential 16th century inn boasts beamed ceilings, log fires, cask ales, an AA rosette for food and five newly refurbished en-suite guest rooms. AA 4 Star Inn. The 15th century Lion brims with original features including wooden beams and open fires in the bar and restaurant. We serve seasonal food including afternoon tea, and we offer a selection of wines, ales and beers. All our bedrooms have private bathroom and are decorated in a traditional style. An ideal base from which to explore the pretty Cambridgeshire countryside. This historic 17th century inn offers a friendly English pub atmosphere with its old beams and log fire, real ales, fine wine and excellent food. The stylish guest rooms are all en-suite. Close to the Duxford Air Museum and with good access to the M11. Cambridge and Newmarket within easy driving distance. The historic Old Ferry Boat Inn overlooks the Great Ouse which winds itself around the tiny hamlet of Holywell, near St Ives in Cambridgeshire. 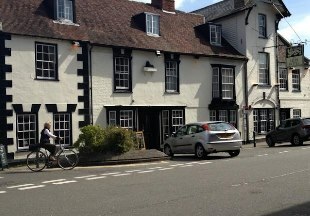 Constructed in Anglo-Saxon times, the Old Ferry Boat is England’s oldest inn - historic records show that liquor was first sold here as early as 560 A.D! We have seven lovely en-suite rooms and three different areas for dining, providing you with a fantastic choice of seating for a relaxing meal. Cambridge 20 minutes away. This lovely old village inn is just 3 miles from historic Cambridge with its university colleges, stunning architecture, quaint streets, shops and cafes. 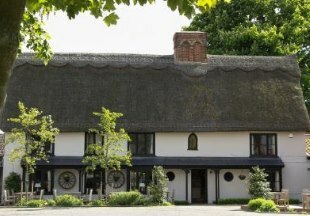 The inn has an excellent reputation for its food, featuring in the Michelin and Good Food guides. There are 9 comfortable en-suite rooms for overnight guests. 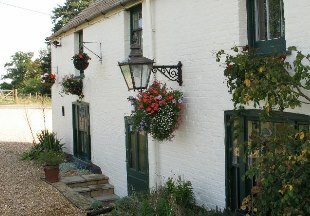 The Red Lion is a vibrant country pub with comfortable en-suite rooms. 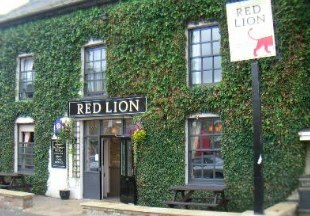 Ideally situated for both business and leisure travellers, the Red Lion is to be found in the village of Stretham, 5 miles from Ely and 10 miles from Cambridge. Food is served everyday and includes a great selection of freshly prepared dishes using locally supplied produce wherever possible. Free WiFi. Welcome to Cambridgeshire, a perfect but often overlooked destination for a short break. Visit historic Cambridge with its famous university, explore the fascinating Fens or discover the magnificent cathedral at Ely. Getting to Cambridgeshire couldn't be easier. By car, take the A1M or M11. Fast trains from London to Cambridge only take around an hour. The beautiful countryside, historic villages and pretty market towns make for a wonderful weekend away from the city. We have handpicked some of the best Cambridgeshire inns and hotels to help you plan your ideal short break; simply scroll down the page. To help even further, we have also listed them on the map at the foot of the page. "The city of Cambridge is world famous for its university colleges and its stunning architecture. Explore the city, visit the museums and take a punt on the river. But don't stay in the city; choose a cosy country inn for great food and drink - and a peaceful night's sleep! Try the Crown and Punchbowl just 3 miles outside Cambridge, or the Red Lion with its quintessential English village setting." Cambridgeshire is bordered by Norfolk, Suffolk, Essex, Lincolnshire, Hertfordshire, Bedfordshire and Northamptonshire. 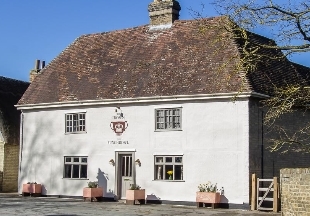 If you want to widen your search, why not browse through our selection of hotels and inns in Norfolk, Suffolk, Essex, Lincolnshire, Hertfordshire, Bedfordshire and hotels in Northamptonshire.